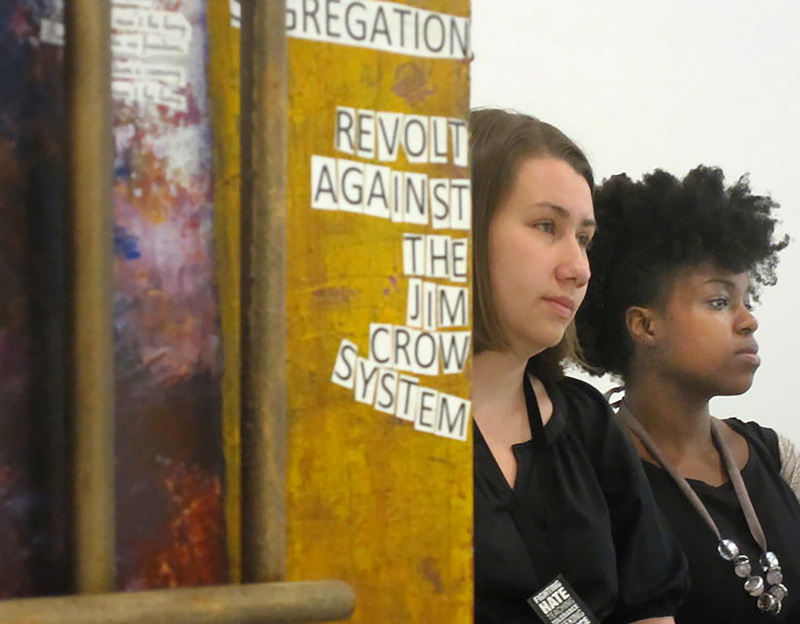 Former Historical Commission intern Stephanie Burton (r) at the museum with a colleague on the 2011 Student Freedom Ride sponsored by American Experience. ​In 1961, the "Colored Entrance" and "Whites Only" signs came down in southern bus and train stations. It was the direct result of the 1961 Freedom Rides. The Freedom Rides Museum tells this story in Montgomery’s Greyhound Bus Station. A place where key events in this history took place.